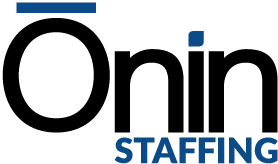 Is Your Staffing Provider Ready? We Are! The major employer mandate portions of the Affordable Care Act went into effect in 2015. Our leadership invested 900+ hours of study into this topic and we have aligned ourselves with top employment law firms, benefits consulting groups, and staffing associations so we can be in front of these changes and bring real solutions to our clients. In February of 2014 the IRS released the final regulations on the employer shared responsibility rules of the Affordable Care Act. Based on their definition of “full-time” employees and the narrowing of the variable hour provision, most traditional staffing company employees will be required to have access to qualified medical coverage or their employers will face penalties. In the vast majority of cases, leveraging the variable hour provision will put both The Ōnin Group and its customers at significant risk of non-compliance penalties. Beware of competitors who tell you differently! 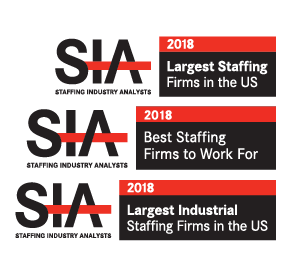 As your staffing provider and as the employer of our teammates, we take full responsibility for all employer shared responsibility aspects of PPACA, and to give our clients peace of mind, spell these terms out contractually. We pride ourselves on providing the best benefits for our teammates, and we are excited about our major medical benefit offerings. 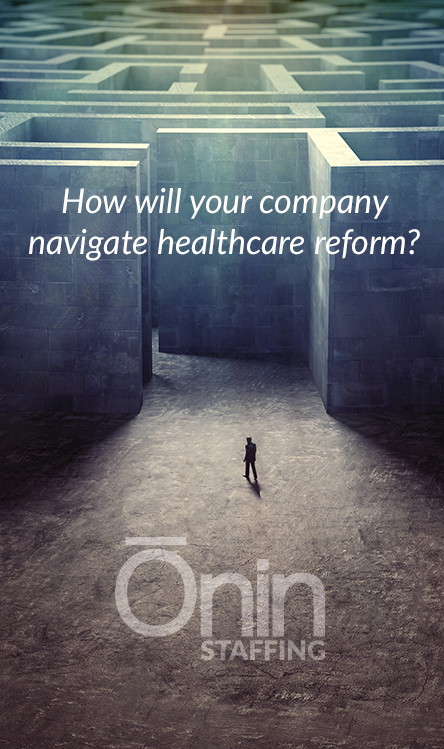 The Ōnin Group offers our teammates three (3) medical plan options. These plans are designed and subsidized by Ōnin to provide a full range of different options which meet both the individual and employer mandates and retain top talent at a cost that is affordable to all parties involved. Basic Plan – The Basic Plan meets the basic healthcare needs for the employee as well as satisfies the Minimum Essential Coverage mandate of the Patient Protection and Affordable Care Act for the employee. It should be noted that both the PPACA Plan and The Cigna PPO plan also fulfill this requirement, but the Basic Plan is designed to fulfill it in the most cost effective way possible. PPACA Plan – The PPACA Plan is a health benefit plan that provides a comprehensive health coverage solution. The PPACA Plan provides these benefits on a level that most closely resembles a “Gold” Plan on the health exchanges, but it does so at a price point that is still affordable.